Mr. Ekdahl has 30 years of outstanding experience in real estate sales and marketing in which he distinguished himself as one of the most successful and well known real estate brokers in sales to high net worth individuals. He has been a Senior Sales Executive with the Fisher Island Club for 20 years and was involved in approximately $1 billion in sales. 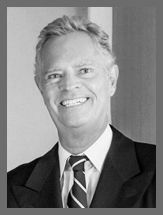 Lars began his carreer in real estate in 1980 after having arrived in Floria from Sweden where he was with the Swedish Air Force. He is currently a Capitan in the reserves. Lars is an avid aviator with several thousand hours of flying. He is a certified flight instructor and a holder of a multi engine and instrument ratings. He as a Bachelor of Arts degree from the University of Lund in Southern Sweden.